I don’t tend to genuinely lose my anger all that often, but lost luggage can cause even the most patient people to go crazy. Especially when you check in two and a half hours early for a red-eye flight cross country, only to find out your bags aren’t in Boston at 5:45 AM. Not that I’m bitter or anything. 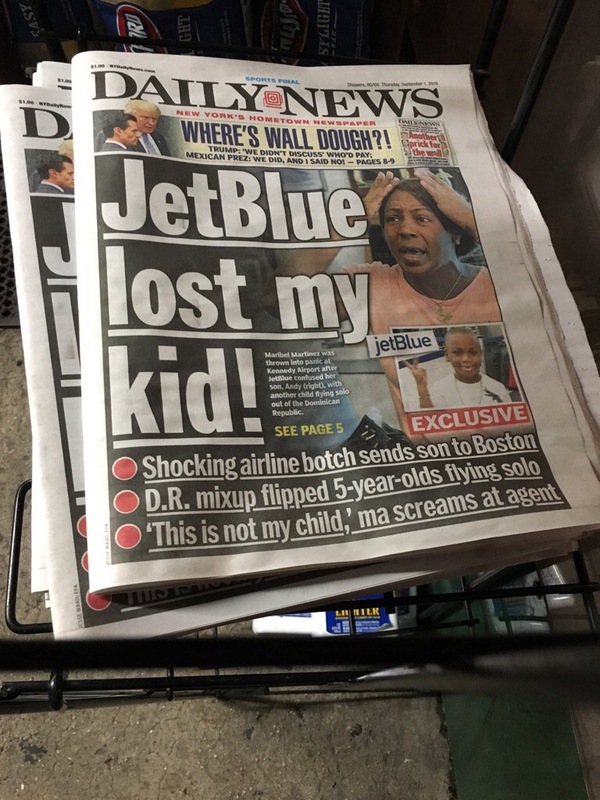 But in the wake of my continued bitterness JetBlue has managed to somehow outdo themselves, somehow mixing up two children and sending them to different cities. At least my hairbrush was still at LAX when I called. One of the kids touched down in Boston when he was scheduled to arrive in the Dominican Republic. This is not the premier summer for JetBlue, but I’d be lying if I said the mix up wasn’t kind of hilarious. Traumatic and terrifying, but just a little funny. Does that make me a bad person? Of course, but after all, JetBlue started this.